It's almost funny to me. One day I will laugh about it, but right now I'm just shaking my head at the irony. You see, last summer my nearly-18-month-old refused to take a step, so I have been telling everyone for months that I was SO EXCITED for this summer because ALL MY CHILDREN ARE FINALLY WALKING. We had one glorious week of exploring parks, catching fireflies and walks at dusk when it all came to a screeching halt - a screeching halt while we were out of town visiting grandparents for that matter. It was day 2 of our visit and my mom and I packed up the kids and headed to a super hip downtown trampoline park first thing in the morning for "preschool bounce." 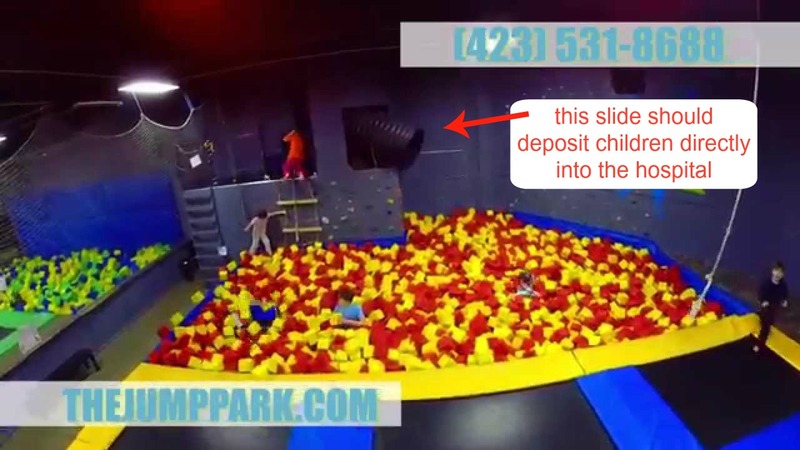 Preschool Bounce is a euphemism for letting small children, who have minimal control over their bodies as it is, run wild in a giant room made of trampolines, which is only slightly safer than turning them loose in a knife factory. I remember one time in elementary school the teacher gave us a writing prompt that asked us to design our dream house. Pretty much every kid in the class came up with a version of a home with trampoline floors, slides instead of stairs and ways of trapezing yourself from one room to the next. Oh my, what imaginations! I'm sure our teacher thought, Like anyone in their right mind would design and build a giant death trap like this! Apparently, as long as you slap a waiver of liability on any who dare to enter, you can build whatever sort of death trap your heart so desires. Basically, I'm pretty sure that trampoline parks were invented in the mind of a 5th grader in the early nineties. In fact, as I glanced over the wide expanse of springy floors, rope swings and foam pits, I couldn't help but feel like an 11-year-old again, giddy with excitement. However, I was very quickly reminded that I am actually a 33-year-old woman who has birthed 3 children because even after completely emptying my bladder, it became clear that I will never again be able to bounce with the free abandon I possessed in my youth. Sad face. The kids, on the other hand, were in absolute heaven. I wish I had taken some pictures, but my phone memory was completely full (Just give me the cheapest phone! I said. What do I need extra memory for? I said). I was especially kicking myself for not having video capabilities when Jack discovered the slide. This particular slide was actually a giant corrugated black tube that jutted out over a tall platform. The kids slide down the tube and drop about 10 feet into a pit of foam cubes. Totally safe, right? Anyway, Jack was having the time of his life doing belly flops and cannonballs and flips out of the tube. And it would be a really cool story to say that he broke his leg doing a double backflip out of a colossal drainage pipe, but that's not how it happened at all. 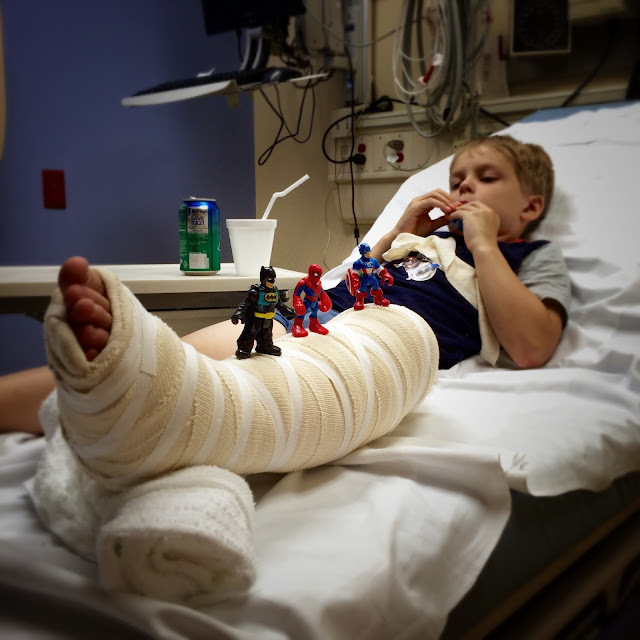 The story of how he broke his leg, how all our summer plans got flipped around, is the most unexciting, regular story there is to tell. He was just jumping, just bouncing in a square when another girl decided to bounce in his square. She must have messed up the rhythm of his bounce and when he came down, his leg buckled just so, and his screams immediately reverberated through the room. Jack is my oldest and my child that is the most dramatic about his injuries, whether that is because he was more coddled as a toddler when he got a boo boo (since there were no other little ones around demanding attention) or because he is a carbon copy of my husband who is also fairly dramatic when he is not feeling his best (he once told me "I know I caught this cold from you, but it must have mutated because my cold is MUCH WORSE.") we may never know, but there was something much more panicked about his screams that day. I was across the park when it happened, so I bounced over to him as quickly as bouncing allows, much like that dream where you try to run away from your ex-boss the restaurant manager who, unsurprisingly, also happens to be a psychotic serial killer, as fast as you can, but you can only move in slow motion. When I finally reached him, the first words out of his mouth were, "I BROKE MY LEG! I BROKE MY LEG! PRAY TO GOD, MOMMY, I BROKE MY LEG!!" Being the compassionate mother that I am, my first words were, "No, no, Sweetie, you're fine!!! You're ok! Come on, let's get a Slushie!!" In my defense though, there were no protruding bones, no blood and not even any swelling at first. However, after 3 hours of hysterical screaming I decided that perhaps I should take him to the ER to get things checked out. Sure enough, the diagnosis was a fractured tibia. Glassy-eyed and no longer screaming after the nurses gave him some "special medicine." If you look very closely you will see that his left knee area is slightly swollen. We had big plans for this summer. The kids and I even made a summer bucket list that included everything from blueberry picking (Jack's suggestion) to a day at the zoo (Henry's request) and swimming lessons (they'll be SO much fun! I insisted a little too enthusiastically). Mostly, I just wanted to spend long, lazy days enjoying my kids, who are all finally old enough to go down the slide without my help, before the craziness of school starts in the fall. 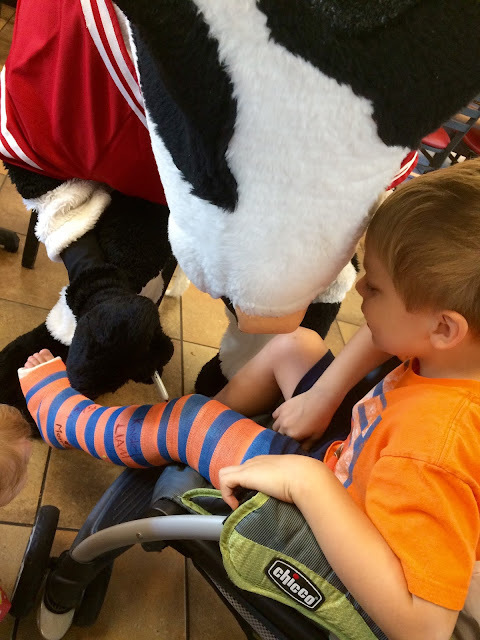 Instead, Jack was in a temporary (soft) cast for nearly 2 weeks, so he had to be carried everywhere and was completely dependent on his parents, much like an infant - a 4 foot, 50 pound infant who constantly demands popsicles and ice cream "to make his leg feel better." We were stuck inside most of the time which meant the kids played every board game in our collection, watched every super hero show available on Netflix, built an obscene number of couch forts and constantly FOUGHT AT EAR-PIERCING DECIBELS. 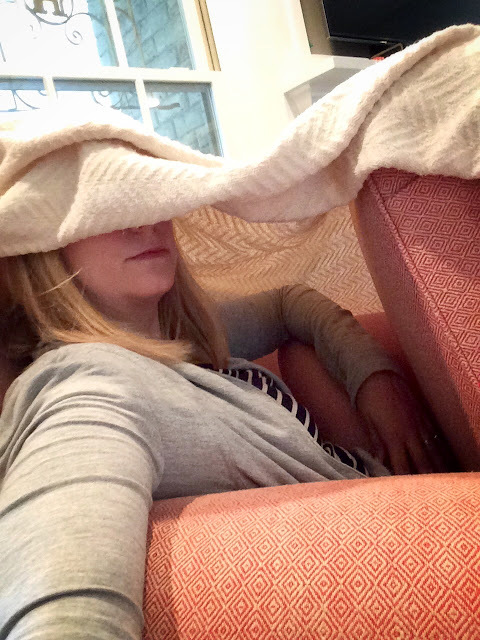 One day I had a mini-breakdown after rebuilding couch fort #87 for the sixth time. 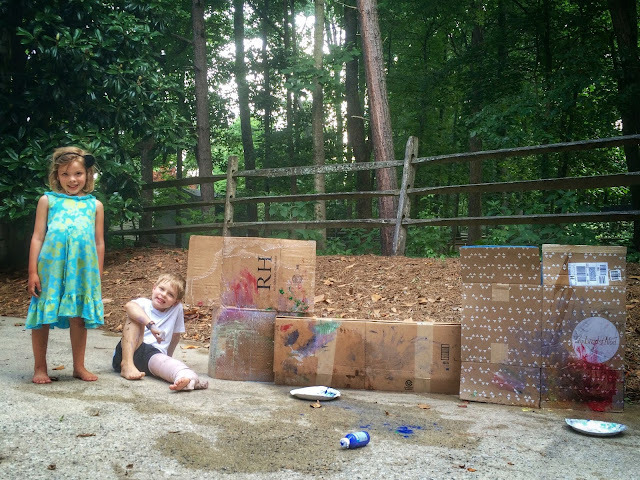 They paused their bickering to ask "What's wrong, Mommy?" "It's like February all over again!!" I howled. "But Mooooommeeeee, there are not supposed to be any holes in the roof!" I was feeling very sorry for Jack, but mostly very sorry for myself that my summer of poolside relaxation had turned into the summer of one million couch forts. But it turns out that pity parties are only helpful if wine is involved and since that could only happen after the kids went to bed, something had to change. This past year the women's ministry at our church has made a theme out of the verse in Thessalonians that says "rejoice always, pray continually, give thanks in all circumstances." I declared it to be my own personal mantra this year as well, which has turned out to be quite encouraging and helpful when I actually stop whining about stuff and remember that I have a mantra. 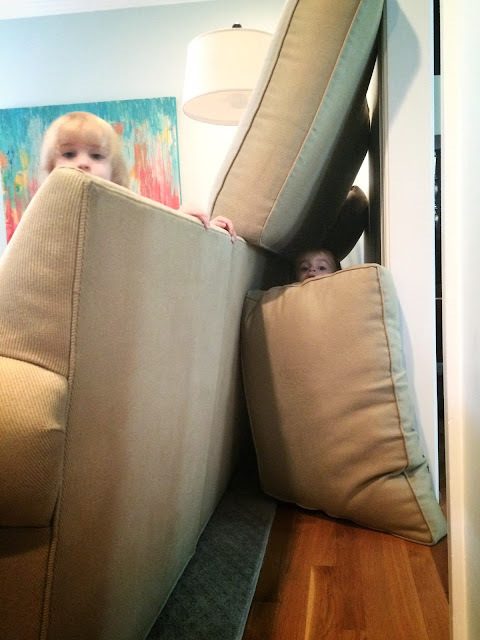 One day they made a fort for me. It was...cozy. One day, with my mantra in mind, I made a big show of ripping our neglected bucket list off the fridge and throwing it the trash, which was really not as dramatic as it sounds since it was just written on a post-it note that Elise scribbled over about 5 times. "Jack, we are making a new list!" I declared. 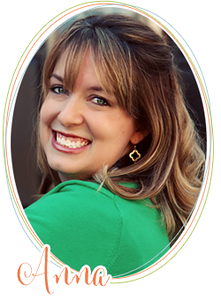 "Because even when a bad thing happens, God can use it for good! 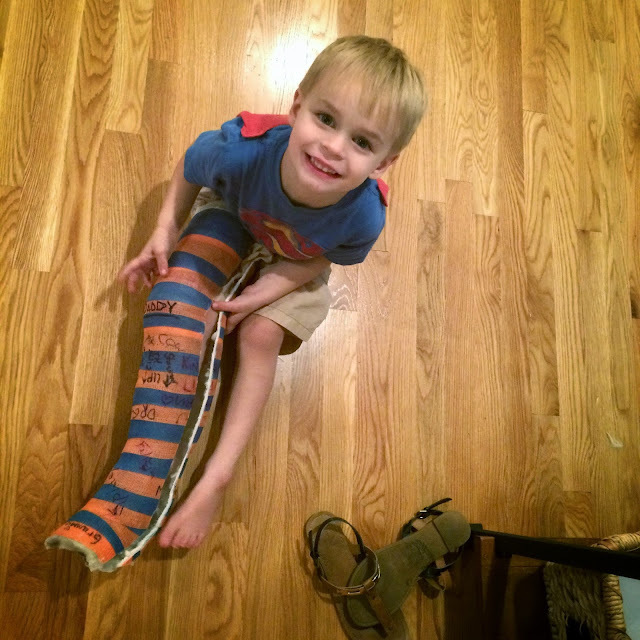 Let's make a list of all the good things that have happened because you broke your leg." He blinked at me. 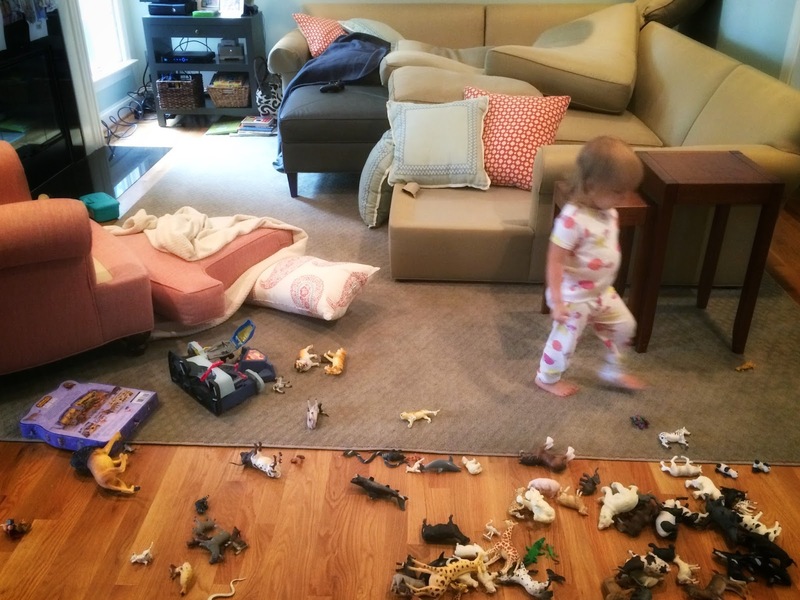 "Mommy, this is the WORST thing that has ever happened in my LIFE." "Well, that's probably true, but what about all the good things that have happened? The kind things that people have done to show they care about you? Your friends have come over to bring you goodies and play with you. People have called and sent cards and text messages and even packages! How does that make you feel?" "Yeah, it made me feel really good too. Sometimes when we're sad and hurting, God shows his love for us through other people. We just have to look for the good things and have a thankful heart." His eyes lit up, "Hey, I know something good that happened!" "I didn't have to take swimming lessons!" His friend Katherine came over and coaxed him outside for the first time after his injury. 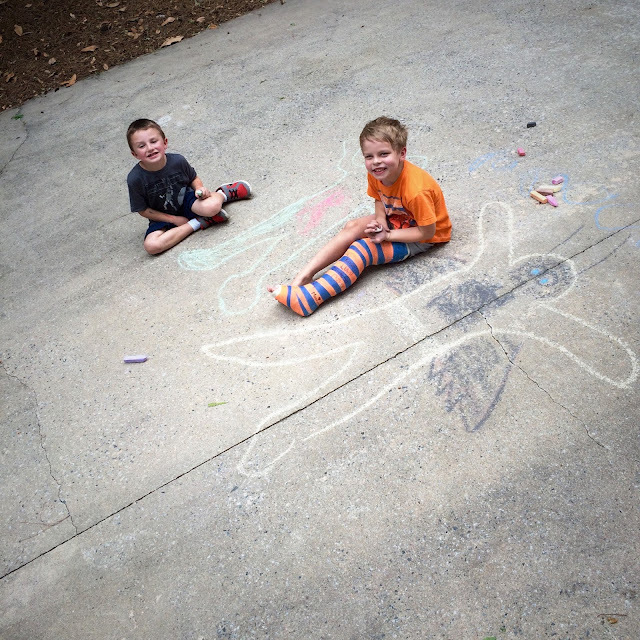 Making superhero chalk people with Jackson. To make an even longer story as short as possible, we finally got in to see a specialist who put Jack in a hard cast that he was able to walk in a little, which made life exponentially easier for all of us. And we kept looking for good things to rejoice in and be thankful for while he was in his cast. It turns out the very best thing about having a cast is that people can sign it, and Jack got some pretty amazing signatures which he showed to everyone all month long. Spiderman signed his cast during Superhero Day at the library. 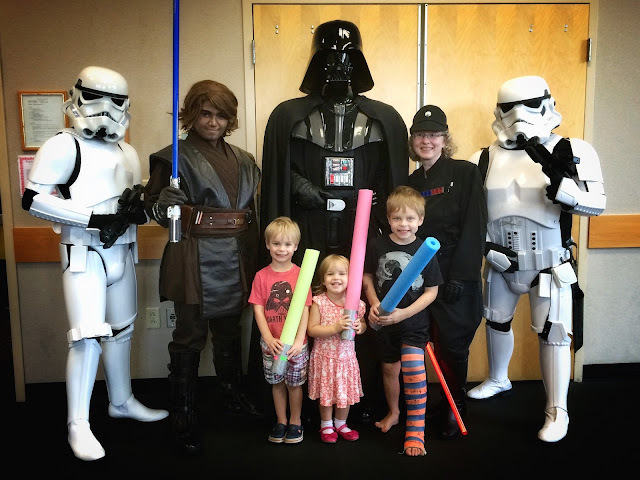 Darth Vader and a stormtrooper signed his cast at Star Wars Day at the library. Yes, we have an amazing library. Even the Chick-fil-a Cow made his mark. After a month of couch forts, I mean recovery, Jack got his cast off this week. I was kind of expecting him to come skipping out of the hospital, but that was not the case. 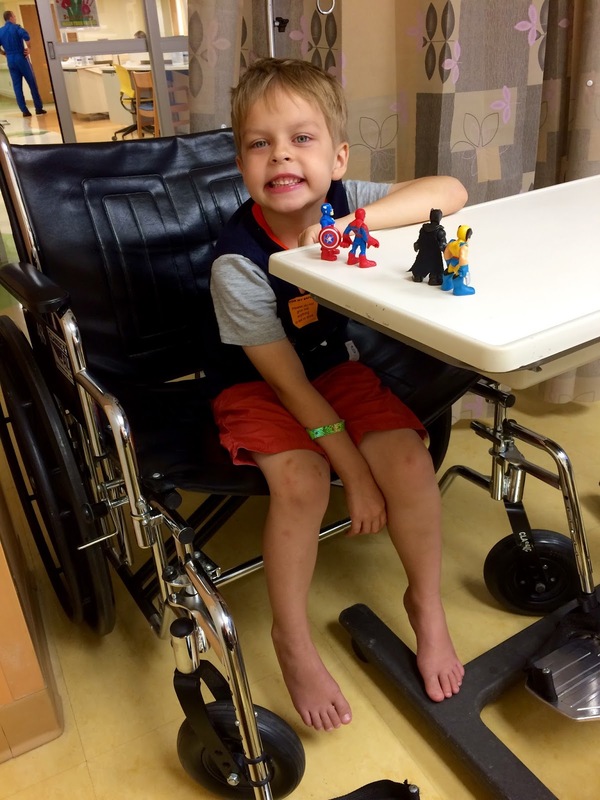 The doctor told him his leg might be a little stiff and sore for a while, which I think Jack heard as "if you walk on it, your leg will fall off." Three days after the cast came off he finally built up the courage to take a step. He has not yet bent his knee and is currently hobbling around very slowly, kind of like a peg-legged pirate. It may be a while longer before he is running around like normal, but we have a lot to rejoice about in the meantime. He is healthy and his break healed quickly. We are surrounded by friends and family who love us and reach out to help in situations big and small. 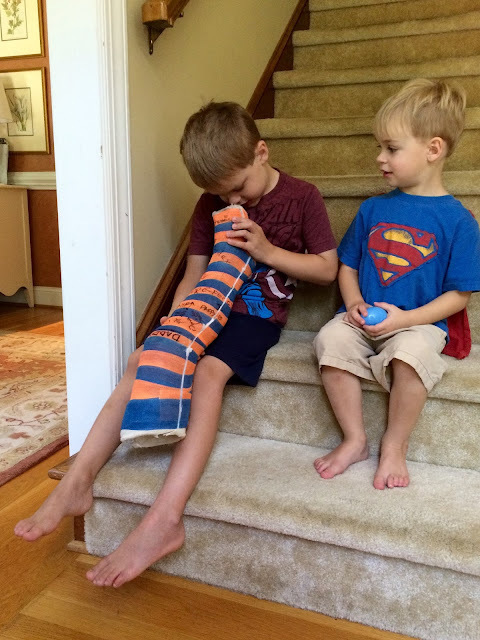 Also, how lucky are we that the doctor let Jack take home his cast to keep as a souvenir of his injury forever and ever?? 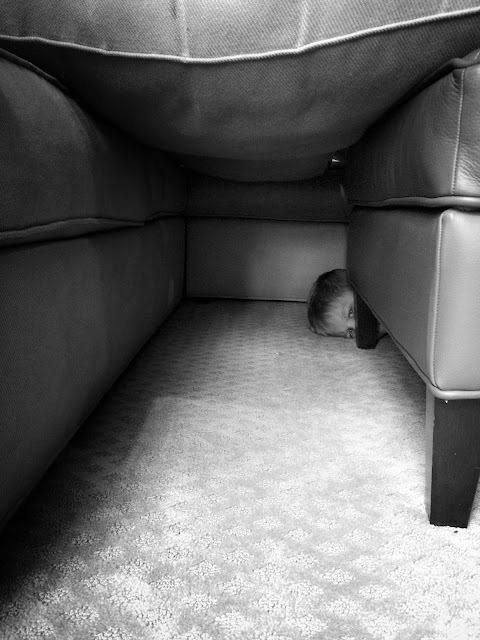 The cast has become the most coveted prop when playing "Hospital"
And, until he can run free, there are always COUCH FORTS. oh my gosh, what a terrible start to summer! Poor buddy. Clara had a trampoline injury a few weeks ago (those damn things) that required a couple sets of x-rays to make sure her leg wasn't broken, and she STILL hasn't stopped talking about it. And she's fine. But sometimes she still "can't take a bath cause it might hurt my boo boo, mama." So there's that.